Professional, aggressive, and no-nonsense representation. Your case will be handled efficiently, with respect and prompt attention. Onsite visits to hospitals, rehab facilities and house calls are available. Rod Jones has represented plaintiffs and defendants in Oregon state and federal court for over 25 years. A vast breadth of experience in claims such as: Wrongful death, serious injuries, accidents and insurance. Licensed to practice in all Oregon state courts. Law Office of Rod M. Jones focusing on wrongful death and serious injury claims. Rod Jones has over 28 years of litigation experience, successfully representing individuals and corporations in state and federal courts throughout the entire State of Oregon. Many accidents result in permanent injuries and impairment. You need an experienced advocate to fight for you to obtain the best possible result. The death of a loved one is one of the most traumatic events a family can endure. When this happens, you can rely on Rod Jones to provide you with compassionate representation, based upon a strong Christian faith, and decades of legal experience. A seemingly simple sore neck could turn into a complicated surgical claim. That blurry vision you are experiencing could be a sign of a detached retina. The other driver who hit you and was reluctant to talk at the scene could have been intoxicated. Are you equipped to deal with these issues on your own? Rod Jones is an experienced litigator, who knows how to handle difficult cases. The opposing side is going to rely on experts and experienced lawyers, why shouldn’t you? 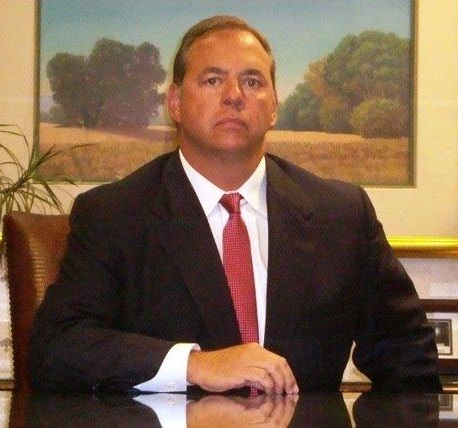 Rod Jones is an "AV Preeminent" rated attorney with over 28 years of trial experience. An "AV" rating is "a testament to the fact that a lawyer's peers rank him or her at the highest level of professional excellence." Court Street Legal is a boutique law office, focusing on injury, death, insurance and business claims. Rod Jones comes from a long line of Oregon lawyers. At an early age he enjoyed listening to the "war stories" of his great uncles, Salem lawyers George Rhoten and Ray Rhoten. Rod also had the privilege of working with his father, Gary G. Jones, a Probate and Estate Planning lawyer, who always treated his clients with dignity and respect. Rod Jones carries on that family tradition of representing clients with excellent care, quality and confidence. Why Choose Court Street Legal? "Thank you for a job well done handling my father’s case. Both he and my mother are pleased with the outcome, as am I. We appreciate your hard work. I hope we meet again under better circumstances." "Fantastic Rod!! We really believed this all along didn’t we? I am glad to see the sensibility of the Union County Jury."